When you’re an American in Europe, it’s sometimes hard to tell if something is actually cool, or just intriguing because it feels so different. Heck, the grocery store feels like an exciting new frontier what with their smart packaging design and extensive use of the metric system. 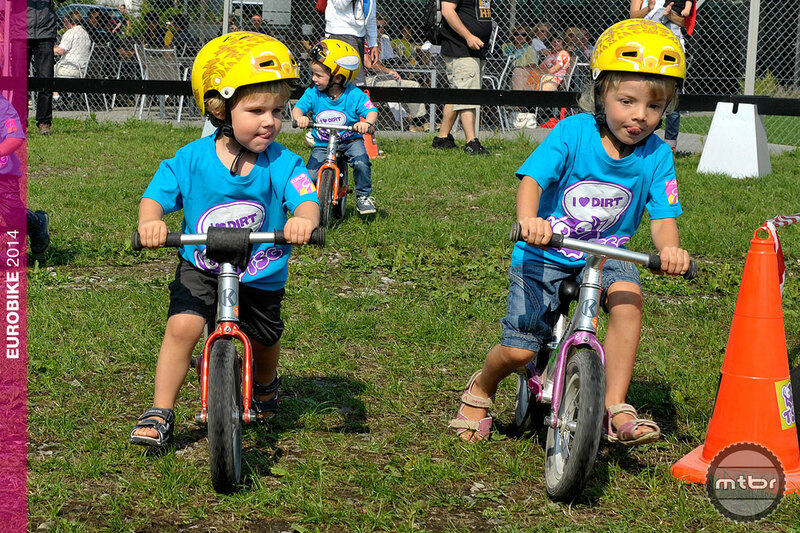 When it comes to children’s bike gear, however, there’s really no question about it–these kids got it good. 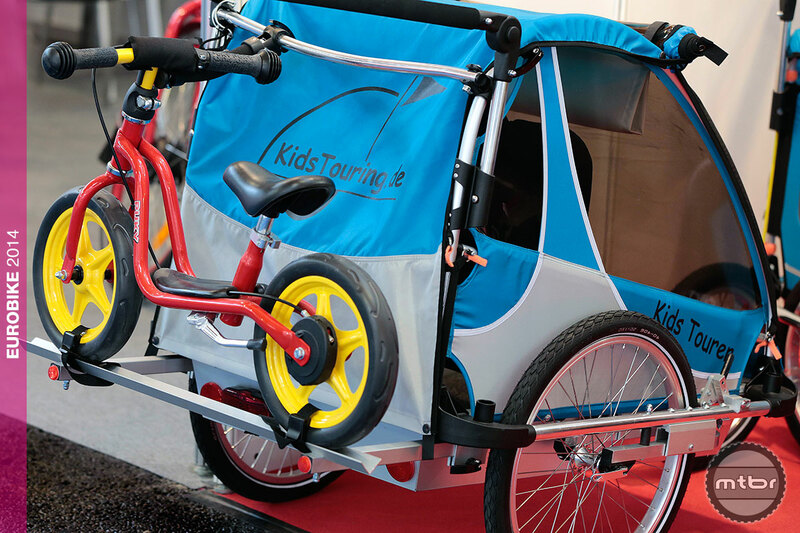 Despite a lackluster name and logo, German brand Kids Touring puts out some of the coolest bike trailers for transporting children, pets and cargo we’ve ever seen. 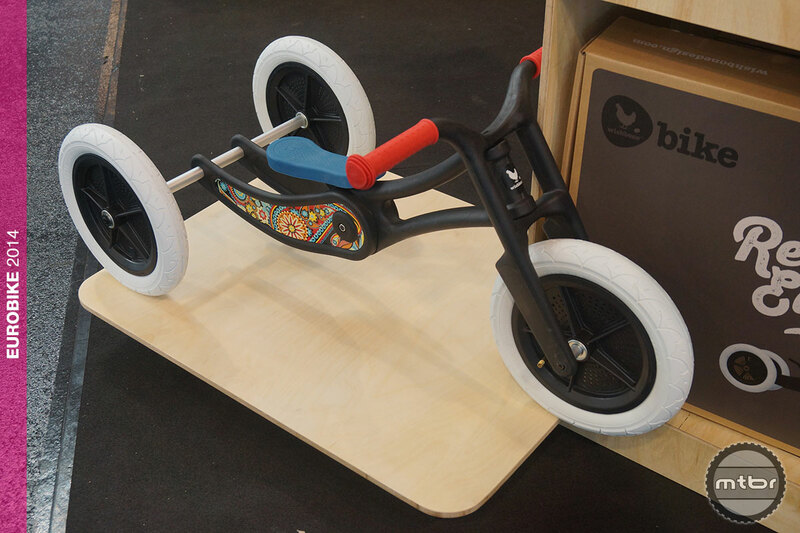 Our favorite comes with a built-in mini rack to carry junior’s balance bike. And while we’ve yet to see this in the US, a modestly skilled do-it-yourselfer could probably add this feature to an existing trailer without much issue. 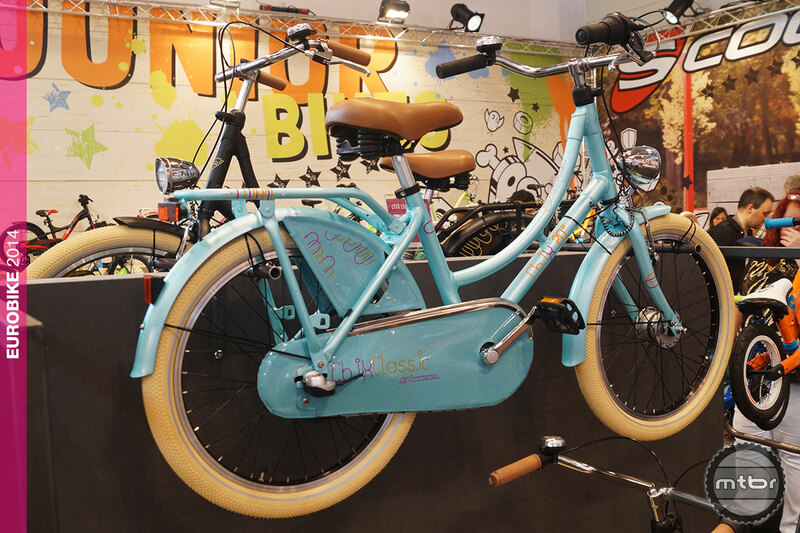 Another Europe-only find, Scool’s Chix line of junior girls’ bikes includes this fashionable takedown of an adult safety bicycle. Its timeless design and a great color scheme make it a show standout. 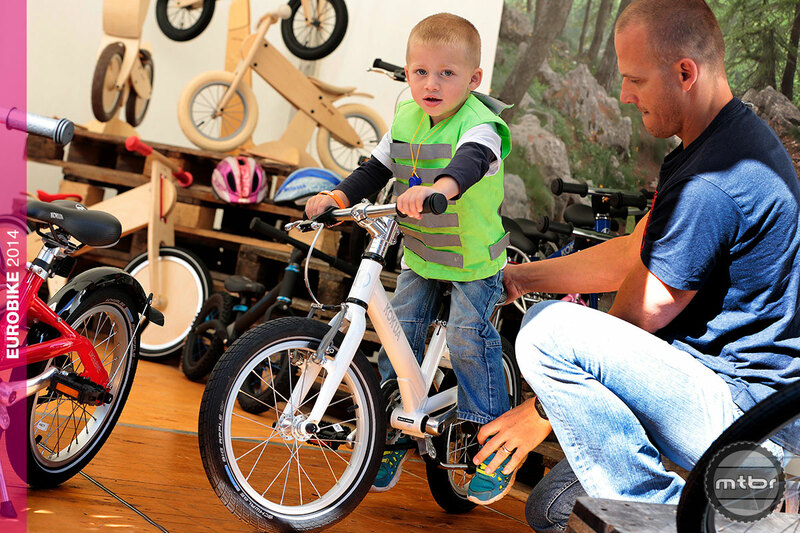 Wishbone Design’s clever, sustainably-built 3-in-1 bike adapts as your child grows, morphing from trike to balance bike to pedal bike. Plus it’s cute as heck. Envisioned and designed by a New Zealand husband-and-wife duo, the Wishbone 3-in-1 is sustainably produced and available in some really cool, limited run graphics. And they’re available in the US. 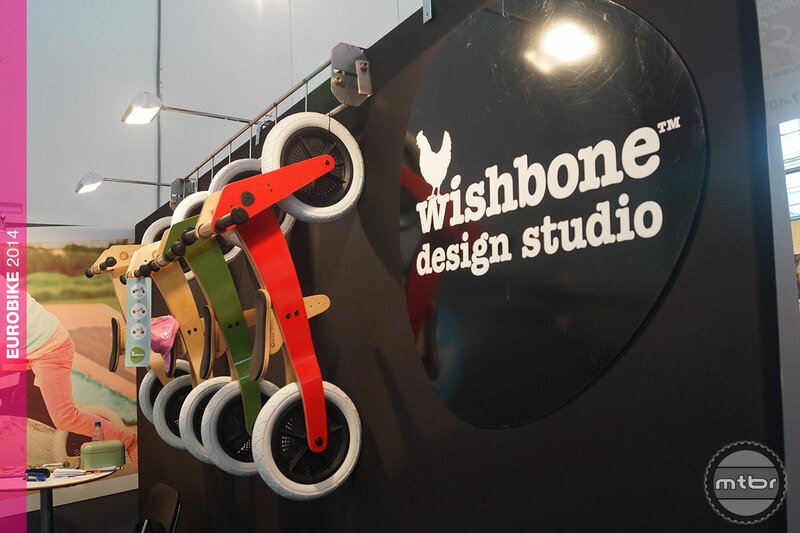 Check ’em out at wishbonedesign.com. What to get the wee one that has everything? 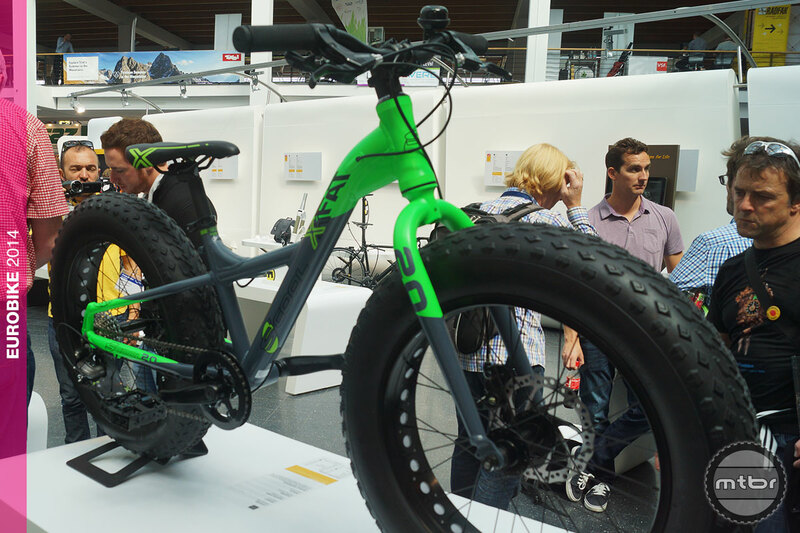 You could go with the world’s first 20-inch fatbike, fashionably shod with four-inch wide, 20-inch fatbike meats from Vee Tire, a Shimano nine-speed drivetrain and disc brakes. Just be sure you and your kid live in Europe–this one is not available in the US. Yet. 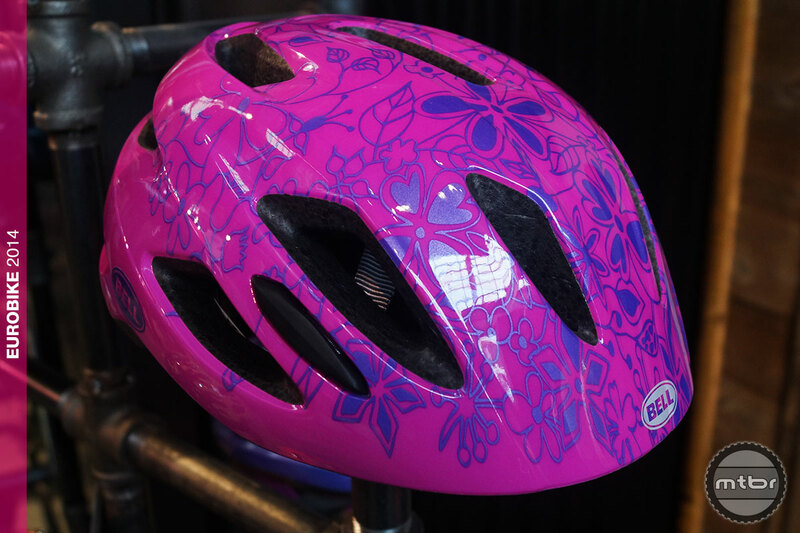 Bell’s newest kid lid features a wide-ranging dial-to-fit mechanism, 15 big vents, in-mold construction, a low profile, and graphics ranging from kid sophisticated–like the Pink Paradise colorway above–to super-fun animal prints with puffer fish and tigers. The $40 Zipper is certified to both the CE and CPSC standards for worldwide availability. Just as your rubber ducky makes bathtime so much fun, Muppet kingpin Kermit the Frog makes bike riding a barrel of monkeys. 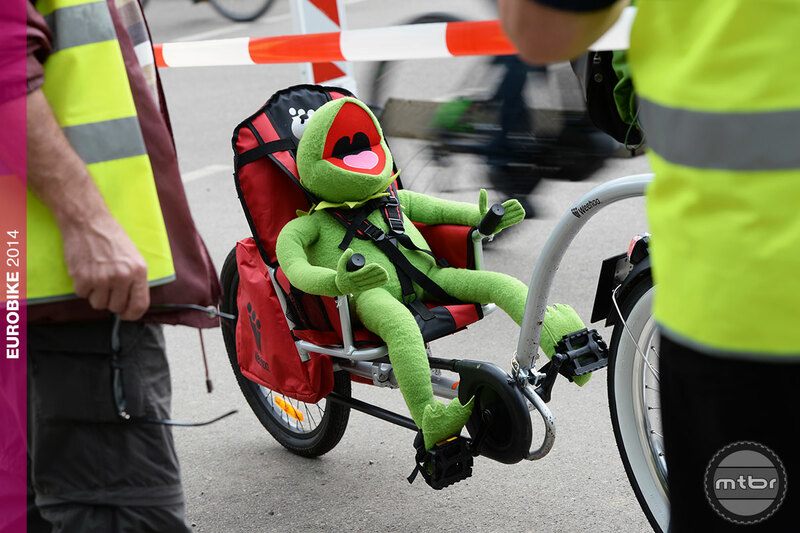 A great companion to ride shotgun in a child trailer, Kermit is a worldwide celebrity available everywhere.